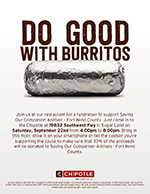 Join us at our restaurant for a fundraiser to support Saving Our Companion Animals – Fort Bend County. 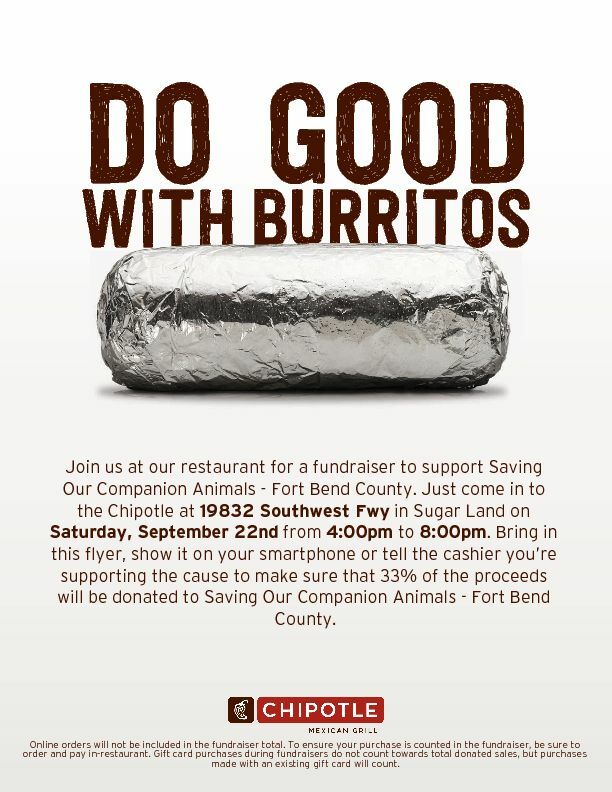 Come to Chipotle at 19832 Southwest Frwy in Sugar Land. 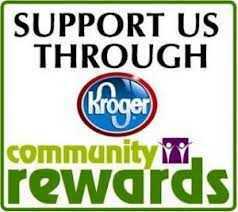 Bring the flyer, show it on your smartphone, or tell the cashier that you’re supporting the cause to make sure that 33% of the proceeds of your purchase will be donated to SOCA-FBC.